Consolidated roofing firms that once dominated the top spots of RSI's Top 100 have slowly dropped down in the charts. A poor economy and poor timing may be the answer to their weaker performance. Those contractors remaining at the top of the list seem to be on the rebound from a sluggish economy, and that is reflected in their 2003 sales volumes. Compared to last year's Top 100, there is a significant increase in sales volume for many of the contractors in the Top 10. Holding steady in the number-two ranked position is Centimark Corp., Canonsburg, PA. Edward Dunlap, chairman and CEO of Centimark, said when his company was founded in 1968, its annual sales volume was $98,500. In 2003, the company grew to a sales volume of $251 million. Edward Dunlap commented on the company's success: "What we built over that 36 years nobody else could match right now. The reason is, it takes time to do that. It is not something that you could do by rolling up a bunch of companies and just starting out. We grew it a brick at a time. As we grew, each office that opened was opened with our own people." Its first office opened in Pittsburgh and the second office was opened in Ohio. At that time, the company moved employees from Pittsburgh to Ohio to staff the latter location. That is the way Centimark continued to grow. Currently, it has 65 locations spread across the U.S. and three in Canada. Dunlap says that the company's work is obtained mainly by negotiated sales, whereas many contractors bid for work. He says bid work is the easiest to obtain and negotiated is the hardest because it takes a long time to build a sales force to create leads and negotiate those leads successfully. It is a painstaking, long-term process. "You can't shorten that process by rolling up a bunch of companies," he said. He says what sets Centimark apart is the fact that it is a sales and marketing based company. He expects to earn close to $300 million in 2004. "The nice thing about it is that we make a profit, and we have no debt." Dunlap added, "It pays off because when you are in tough times, you survive them. (During 2001 up until the middle of 2003) it was a tough time for the industry in general." Because of the weak economy, in 2002 through 2003 the company went through a downsizing process, cutting overhead by 20%. The year 2004 has created a challenge because of the active hurricane season. Dunlap says that the company has offices in Ft. Lauderdale, Lakeland, Jacksonville and Pensacola, FL handling hurricane damage. Centimark moved employees from all over the country to Florida to help. Dunlap predicts that business will increase in 2004 by 10%. The hurricane damage will be a big part of the increase. The company had already booked more than $10 million in hurricane repairs and expected about $25 million in contracts, total. Of course, contractor face other challenges this year. For smaller independent contractors, Dunlap sees the major challenges in insurance costs and raw material prices. Struggles for roll-ups The number-one ranked company with a $312 million sales volume in 2003 will likely see a decrease in sales that will be reflected in 2004. The reason is generalRoofing of Ft. Lauderdale, FL, filed for bankruptcy in May 2004. Bart Roggensack, president and CEO of generalRoofing, said of the company's sales volume: "There is no increase from 2003 to 2004. We have had an increase every year from 1999 through 2003. Obviously, with the restructuring of our organization and closure of a number of operating units in 2004, it would be safe to assume that our sales would be less than the 2003 numbers." Roggensack says the most recent challenge has been emerging from bankruptcy. "The bankruptcy process is never an easy one. There is a lot of additional work we have had to do in a short period of time. This has been a very taxing year on our employees. Additionally, generalRoofing took actions to strengthen its operations through the consolidation of several business units and elimination of duplicate efforts across the country." (See sidebar above, "generalRoofing works to emerge from Chapter 11"). Roggensack said the company attributes its previous successes to its people. 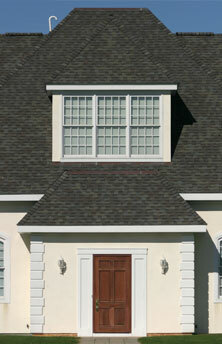 "We have the best, most-talented, dedicated group of professionals working at generalRoofing. Everyone from our crews in the field to the staff in the offices is 'best in class.'" As far as any changes in the industry, Roggensack says, "The only change I see is there will be fewer roofing contractor companies out there. With economic pressures, continued bonding issues and rising insurance costs, more and more pressure is put on the small roofing contractors. Even the larger and more diversified companies like generalRoofing will have to readjust their operating model to make sure we grow profitably." Mark Santacrose, president and CEO of TECTA America Corp., Skokie, IL, offers a positive view on his consolidated company's status. For RSI's third ranked company, 2003 was a strong year with 2004 expected to be even stronger.